© IPDC Finance Limited 2017 . If you have any COMPLAINT / SUGGESTION Please contact our “Central Customer Service & Complaints Management Cell (CCS & CMC)" at IPDC Head Office, Hosna Centre (4th Floor), 106 Gulshan Avenue, Dhaka-1212. 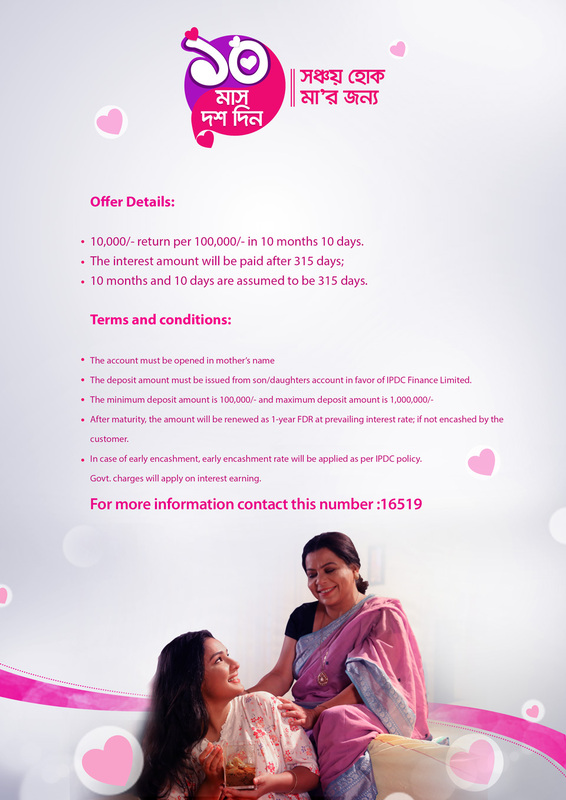 For any information, Please visit IPDC Head Office, Hosna Centre (4th Floor), 106 Gulshan Avenue, Dhaka-1212. If you have any queries, please contact our Investor Relations Department at IPDC Head Office, Hosna Centre (4th Floor), 106 Gulshan Avenue, Dhaka-1212.